The long-hidden diary of a young Polish woman's last days during the Holocaust, translated for the first time into English, with a foreword from American Holocaust historian Deborah Lipstadt. Renia Spiegel was a young girl from an upper-middle class Jewish family living on an estate in Stawki, Poland, near what was at that time the border with Romania. In the summer of 1939, Renia and her sister Elizabeth (née Ariana) were visiting their grandparents in Przemysl, right before the Germans invaded Poland. 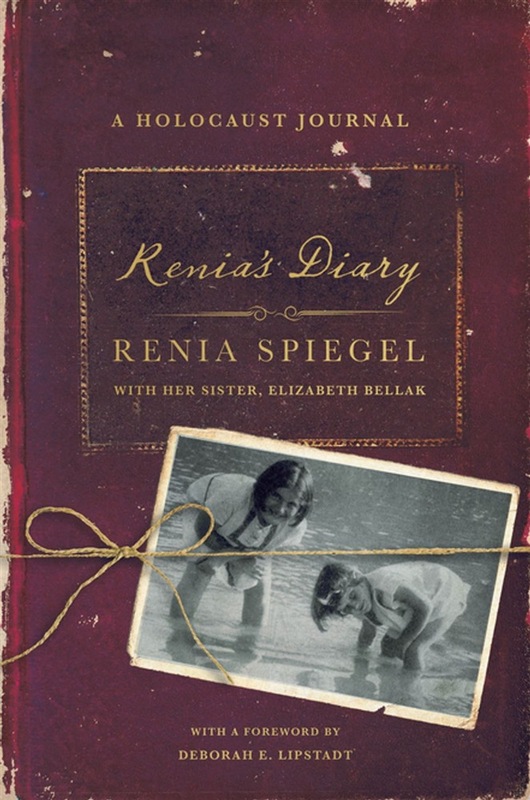 Like Anne Frank, Renia recorded her days in her beloved diary. She also filled it with beautiful original poetry. Her diary records how she grew up, fell in love, and was rounded up by the invading Nazis and forced to move to the ghetto in Przemsyl with all the other Jews. By luck, Renia's boyfriend Zygmund was able to find a tenement for Renia to hide in with his parents and took her out of the ghetto. This is all described in the Diary, as well as the tragedies that befell her family and her ultimate fate in 1942, as written in by Zygmund on the Diary's final page. Renia's Diary is a significant historical and psychological document. The raw, yet beautiful account depicts Renia's angst over the horrors going on around her. It has been translated from the original Polish, with notes included by her surviving sister, Elizabeth Bellak. Acquista Renia's Diary in Epub: dopo aver letto l’ebook Renia's Diary di Renia Spiegel ti invitiamo a lasciarci una Recensione qui sotto: sarà utile agli utenti che non abbiano ancora letto questo libro e che vogliano avere delle opinioni altrui. L’opinione su di un libro è molto soggettiva e per questo leggere eventuali recensioni negative non ci dovrà frenare dall’acquisto, anzi dovrà spingerci ad acquistare il libro in fretta per poter dire la nostra ed eventualmente smentire quanto commentato da altri, contribuendo ad arricchire più possibile i commenti e dare sempre più spunti di confronto al pubblico online.